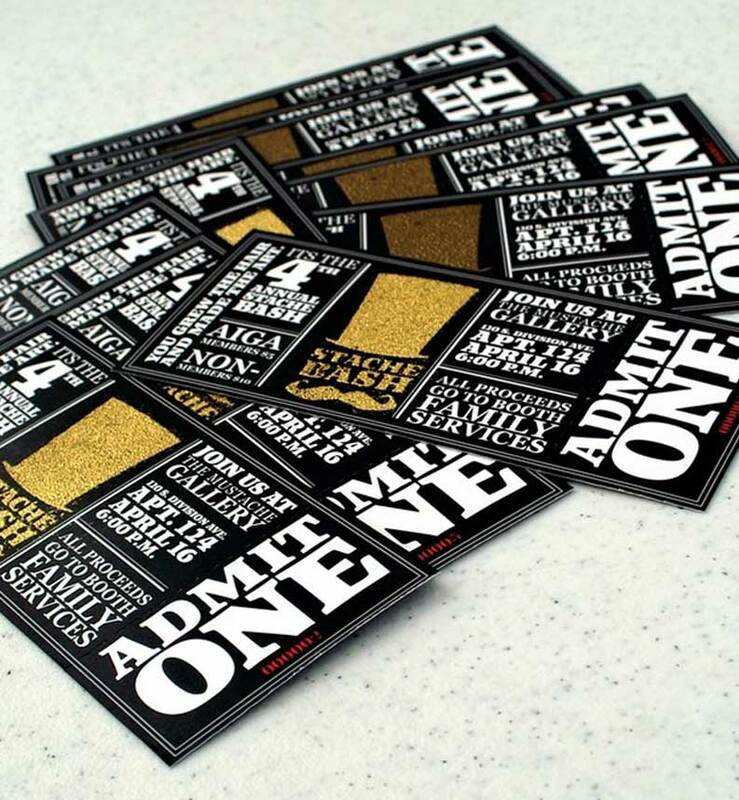 Make an invitation to your door with customized event tickets. Deliver in style and catch your audience's attention. Perforation and Numbering also available. Perforation allows you to keep part of the ticket while tearing off the other section; ideal for items such as concert tickets, film tickets, raffle tickets, coupons, and similar items. Make an invitation to your door with customized event tickets. Deliver in style and catch your audience’s attention. Perforation and Numbering also available. Perforation allows you to keep part of the ticket while tearing off the other section; ideal for items such as concert tickets, film tickets, raffle tickets, coupons, and similar items. Our business card are printed on both sides on a 14PT glossy card stock with UV Gloss coating. High quality full color printing on multiple premium paper options. Only one side? No worries, just select that option and we’ll print. We'll produce your spiffy new graphic design in 48 hours or less! This price includes both sides. Save your money! ...Our designs come highly recommended. We're a powerhouse of designers, and you can rest assured that you are getting the highest quality at a price that can't be beat! We produce professional media, quickly, and at a price that fits your budget. Our goal is to create a clear message to deliver to your customers. Sweetfox 2019. All Rights Reserved. Have a look at this Shopping Cart from Sweetfox.